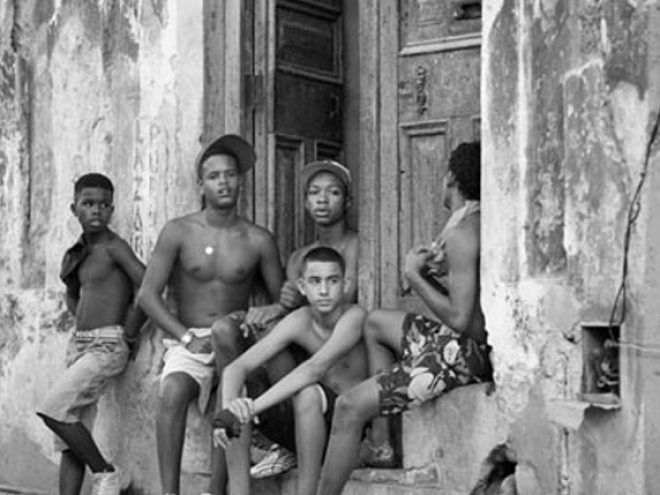 The very fabric of Havana within a socialist state is a paradox. How can a city that is so spectacularly stocked with rich architectural examples from the 16th century onwards, built with the fruits of Spanish colonialism, Cuban capitalism and then an insidious new form of American economic colonization, become part of the new socialist order? Is not every C18th palace, every art deco apartment block, every 1950’s hotel a reminder of past abuses of the people of Cuba by a wealthy elite at home and exploitative forces from abroad? How can the modern habaneros inhabit the city so blithely and embrace it with such confidence and affection? The Revolutionary Government had no interest in the wholesale demolition of the beautiful city that they had taken control of in 1959, not least because of the amount of resources that would be needed to build some “other” Havana in its place, resources needed to make other pressing social changes in the country. There would be no symbolic new architecture that would speak of Cuban nationalism, such as the adoption of functionalist/modernist architecture by the new Czech Republic during the inter-war years in opposition to the C19th architecture of the Austro-Hungarian Empire. Instead, Fidel Castro and Che Guevara made a number of clever inversions of the uses of existing buildings and spaces, re-assigning them in a way that “neutralised” their associations with foreign capital and made them useful to the people. They started by appropriating the newly-completed Havana Hilton, now the Habana Libre, and making it the revolutionary headquarters. The huge blank facing in the centre of the main elevation became the backdrop to an enormous Cuban flag; it looked as though it had been designed for the purpose. A high-rise bank in Centro Habana was converted into a hospital for the people and, most famously, the grounds of the Country Club in Cubanacán were ear-marked as the site for the new national school of art. The playground of the rich was to become an incubator for the creative talents of the youth of the nation, an experiment that was only partially completed. Ordinary Cubans took part in this city-wide appropriation too, notably in the run-down Old City, where many of the historic palaces were being used as warehouses by middle-class Cubans who had more recently built fine houses in the leafy western suburbs of Vedado or Miramar. A palace originally built for one aristocrat and his family and slaves might house a dozen or more Cuban families, with the high-ceilinged rooms ingeniously partitioned and mezzanined to provide maximum accommodation. The Old City certainly had people living in it pre-1959, with barrios such as San Isidro providing labour for the docks and the industry associated with them, but the area was dominated by the financial institutions and commerce, which used the old buildings with little regard for their historic value or erected new banks, bombastic and heavily corniced in the American style. Post-Revolution, more people came to live in Old Havana than at any time in its history and this gave it a unique social imperative. What is most striking about this new occupancy of the old historic centre of Havana is the ingenuity and energy with which ordinary Cubans have re-shaped the city to suit their needs. Whether building makeshift partitions out of packing cases in a former palacio, cultivating empty lots as market gardens, using derelict buildings as workshops to repair “bicitaxis” (rickshaws), using an art deco balcony as a home for the family pig or converting a disused warehouse into the neighbourhood boxing school, there is a creative “ad hoc” sensibility that seems to pervade the city. Cubans have become masters of finding solutions to the problems of shelter, employment and social welfare (they call it “resolving”) against the backdrop of an uncertain economic situation and the privations caused by the US blockade of the island. This sensibility frequently runs in direct and surreal opposition to the social aspiration expressed by the grand architecture which forms its backdrop. The re-use of old buildings is often an inversion of the aristocratic order manifest in the building’s fabric and facade. Palacios that were designed to be exclusive and keep the teeming street life at bay are now the centre of that teeming life; the exclusive social clubs of the peninsulares are now open to all, as dance schools or community centres. And this peoples’ re-habitation of the city fabric seems to bring with it a positive energy, from the intense play of children on an empty lot, the elegant dancing of octogenarians in a corner bar or the appreciative remarks of young men towards the objects of their affections. The life of the barrio is there for all to see and be part of, confidently occupying the streets and squares; the social hierarchies, racial divisions and class-regulated territories that once characterized the city are long forgotten. Not all visitors feel at ease with this condition and feel the city to be chaotic and illegible, the mis-match of aristocratic architecture and vigorous occupation grates on their nerves. There is also the issue of preserving the historic city from decay, an ever-present problem in the tropical climate and salt-laden winds off the Atlantic. The City Historian of Old Havana, Dr Eusebio Leal Spengler, has assumed responsibility for the restoration of the historic city centre (a UNESCO World Heritage site since 1982) and has designed an economic structure by which to do it. Leal’s team strives to restore valued buildings and public spaces whilst simultaneously supporting the life of the old city. Social housing is built to re-house as many as possible of the habaneros displaced by restoration projects (whilst many of the original inhabitants of buildings move back after their restoration, to move everyone back would be to return them to an overcrowding and inappropriately shared resources) and clinics, schools and old peoples’ homes are frequently included in large redevelopment projects. Creating new means of employment in the area is a broader problem, with old wharves now closed and tourism only able to generate a limited number of new jobs. La Oficina, as it is universally known in La Habana Vieja, encourages the self-help ethos of the populace by enabling small building projects to be carried out by local citizens with the help of the Oficina’s own construction workers and architects who help the “amateurs” achieve home improvements and extensions. The Plaza Vieja was for many years dominated by an underground car park with tall, ugly air vents built in the 1940s and is now almost restored to its former glory, with a replica of its original fountain as the centrepiece. Part of the Oficina’s task in Old Havana is to inspire and educate the Cubans there to value their country’s heritage and participate willingly in the steps needed to preserve it, even when this involves a curtailing of the cubanía of life in the barrio. This is not the uphill task one might be faced with in Britain. Havana has a long history of civic pride that goes beyond mere self-aggrandizement, as the exceptional standard of public spaces and monuments from every era of its development testify. Today’s habaneros’ natural pride in their city is bolstered by a sense of ownership of the built heritage that the socialist state has given them and a deep-felt appreciation of their elegant surroundings. Who would not be seduced by the pink evening light on the coral stone of the Morro Castle, the reflected light on a Cuban baroque arch in a midday patio or the flash of sun-on-spray when waves break over the sea wall of the Malecón? Charles Barclay’s first visit to Havana was in 1993 at the height of the Special Period and when he had just qualified as an architect in London. He has returned to the city seven times since, most recently bringing a group of students from his old school of architecture.